To better serve customers shipping from the Dominican Republic to South Florida, Crowley Maritime Corp.’s liner services group announced today that it has launched a new direct, weekly shipping service from Puerto Plata to Port Everglades, Fla. Crowley is the only ocean carrier that provides a direct shipping service connecting these two locations. 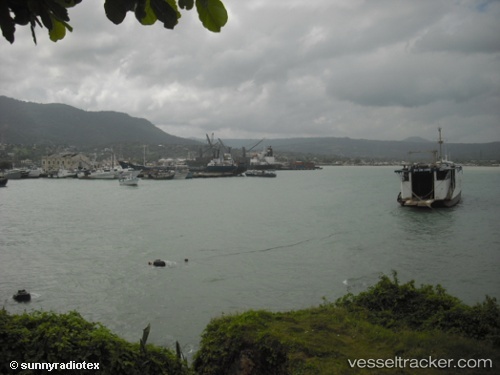 Puerto Plata.– The Northern Regional Division reported that members of the Port Security (CESEP), Security and Port Development Company (SDP) and the Private Security Company (Seguriasa) arrested two men who boarded a Philippine flag vessel as stowaways. According to a police report, the detainees are Juan Manuel Madilla and Ramon Martinez, who were illegally hidden together with two other people on the rudder of the boat Aston Trader II. The other two managed to escape.